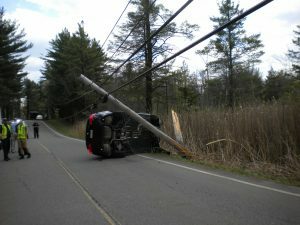 A single vehicle traveling on Moseywood Road lost control and struck a utility pole, shearing it in two. The driver was self extricated and refused medical treatment. 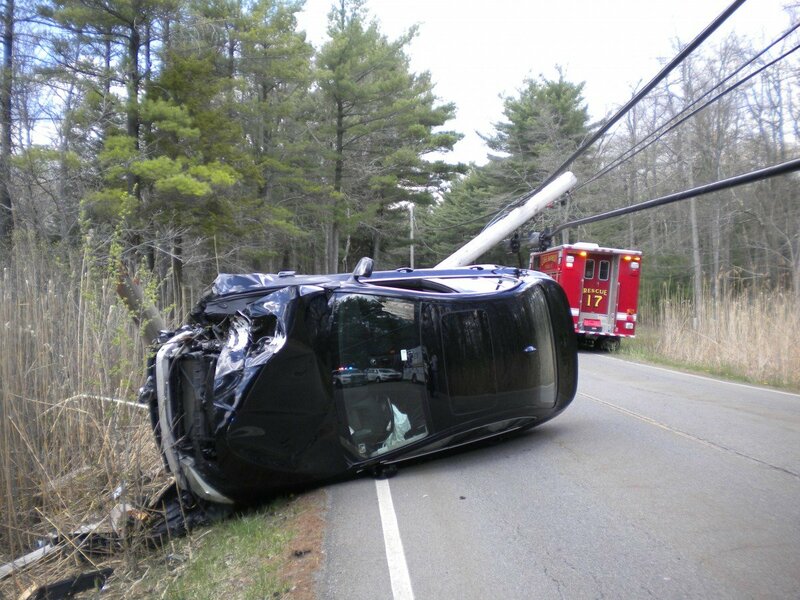 Rescue 17’s crew assisted the tow truck operator by removing the remnants of the pole to allow him to remove the vehicle.